An animal production you can perform in restaurants! The ideal card routine for children and family groups. 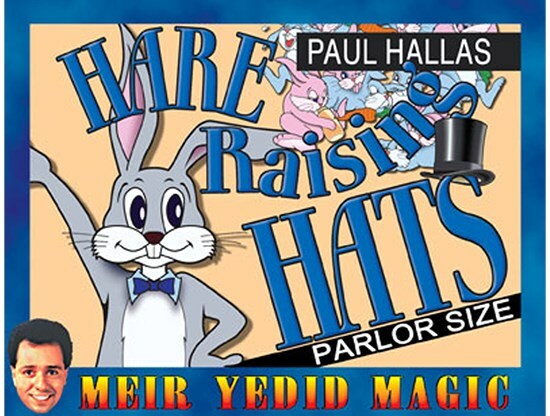 This is an adorable card trick where you produce rabbits from hats, make one of the hats completely disappear and close with a production of a bunch of baby rabbits. Everything is examinable at the end. Comes complete with special poker-size Bicycle cards, printed by the U.S. Playing Card Co., and photo illustrated instructions.